The hyoid bone is the only “suspended bone” in our body, and its suspension system has an important role in posture maintenance. 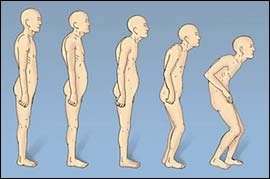 We studied postural modification in a group of patients affected by Obstructive Sleep Apnea Syndromewho had undergone surgical treatment including hyoid suspension. The surgical procedure performed was section of supra- and infrahyoid muscle and mobilization of the hyoid bone through its suspension to the thyroid cartilage. We studied the postural changes with stabilometric tests. In the early post-operative (one week) follow-up, we performed a posturography test with closed eyes and occlusal disjunction, and saw a worsening of the average parameter of the centre of pressure with antero-posterior oscillations. However, we would like to highlight that by the time of the one year follow up, a compensatory mechanism had been established which allowed for a return to normal hyoid bone kinematics.